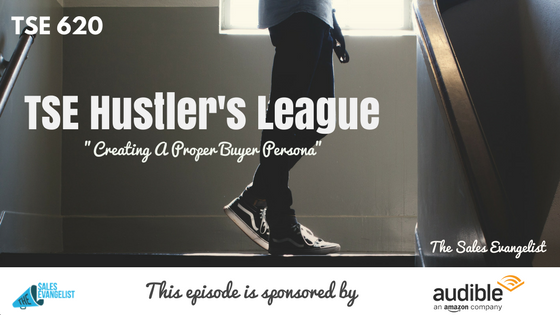 Today’s snippet from one of our sessions over at the TSE Hustler’s League is about how you can create a proper buyer persona, things you should look for, questions you should be asking yourself, and things you need to keep track of to help you improve the way you sell. My avatar’s name is Jeffrey, 25 years old, graduated from college recently, and working for a tech company, making about $35,000 a year plus commission. The problem was Jeff wasn’t making any commission so he was broke. He’s married and his wife’s name is Rachel and they have a beautiful daughter named Crystal, two years old. Because of the student loan debt Jeff and Rachel have, they realized they still needed to make some money. Rachel is also working too and they’re living in Denver at Rachel’s parents’ basement. Their goal was to save up some money to get their own place and to get their daughter out of daycare. Issue is student loan debt is too much so Jeff started taking a second job delivering pizza. He wanted to improve his day job so he looked for podcast and found The Sales Evangelist podcast. This is the buyer persona I looked at when I was thinking about the podcast. This is just one example but it’s a collection of multiple individuals that reached out to me. Jeffrey comes in all sorts of shapes and sizes, majority of them males and a lot were younger and just started off. Interestingly, they were getting second jobs so I started to tailor my content and the things I offer to Jeffrey. Focus on one ideal customer. Don’t get all of them. Just focus on one ideal customer that would be the best bang for your buck. Empathy is the ability to understand and share the feelings of others. Sales is not necessarily seen as something we do as Hollywood would normally portray it to be in movies like The Wolf of Wall Street or whatever. In the real world, we need to understand and share the feelings of others. The more you can do this, the better off you’re going to be. Understanding them allows you to give them exactly what they want and when they want it as opposed to when you feel it’s best to give them. Think in the sense of what you can provide as a customer and think from the customer’s side instead of your side. Define your product or service from a customer’s point of view. If somebody wants to buy a house, they don’t necessarily want the house but they want protection or status or a garage. Don’t define your product in a way you want to say it but define it based on your customers. Understand your why and understand your customers. Start by asking why change, why now. 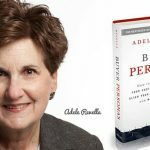 Define an unconsidered need or motive as to why your customers should change or the entire sales process will not work otherwise. Really focus on your niche as much as possible because the riches are in the niches.